Seismic, the leading global sales and marketing enablement solution, has announced that they have been presented with the Gold Stevie® Award in the Sales Enablement – New Version category at the 12th annual Stevie Awards for Sales & Customer Service. Stevie Awards are conferred in seven programs: the Asia-Pacific Stevie Awards, the German Stevie Awards, The American Business Awards, The International Business Awards®, the Stevie Awards for Great Employers, the Stevie Awards for Women in Business and the Stevie Awards for Sales & Customer Service. This is the second consecutive year in which Seismic has been presented with a Gold Stevie Award. Last year, the company won Best Collaboration Solution for their WorkSpace product feature. Seismic NewsCenter is a sales communications feature that allows enterprises to communicate relevant pieces of the company, competitive, and industry news to the right sales rep at the right time, so that they remain fully informed in real-time, wherever they are through Seismic’s mobile apps. With NewsCenter, Seismic expanded their offering into sales communications to redefine a truly complete sales enablement solution. Seismic’s new Salesforce.com app with predictive content functionality allows sellers to discover inline, context-perfect content recommendations for their specific buyer and sales stage. Recommendations become more precise as the platform gets to know each seller better. WorkSpace for CRM allows sales and marketing teams to power content collaboration with CRM opportunity data, automating the content collection, revisions, and feedback for optimal sales productivity. Seismic announced technology integrations with marketing automation providers Marketo and Oracle Eloqua, helping marketers to further directly tie their efforts to the bottom line. Seismic LiveInsights is a dynamic dashboard of analytics of sales content inventory, content adoption, engagement by buyers, and revenue data, allowing sellers to see in real-time what is truly effective in the field and marketers to have the intelligence they need to make impactful content improvements. Seismic’s revamped mobile apps, available for Apple, Windows, and Android devices brings the full power of Seismic to the fingertips of every seller, regardless of where they are. In 2017, Seismic’s platform also won Best Document Management Tool in the WealthManagement.com Industry Awards, Best Cloud Solutions Provider in the Mutual Fund Service and Technology Awards was named to Pharma Marketer 360’s annual Innovators list, and won Enterprise Technology Company of the Year in Business Intelligence Group’s BIG Award for Business. 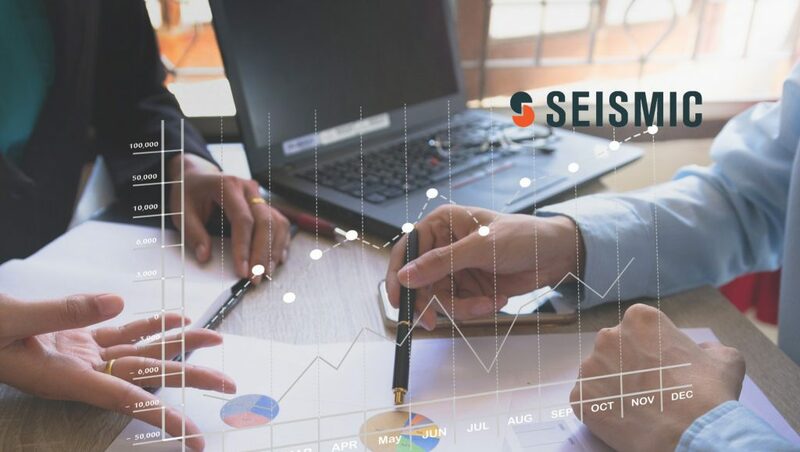 Currently, Seismic is the leading global sales and marketing enablement solution, improving close rates and delivering larger deals for sales while increasing marketing’s impact on the bottom line. Large enterprises use Seismic to increase sales productivity through the automatic distribution of relevant information and personalized content to reps for any buyer interaction. Powerful content controls and visibility into usage ensures brand integrity and reduces risk.